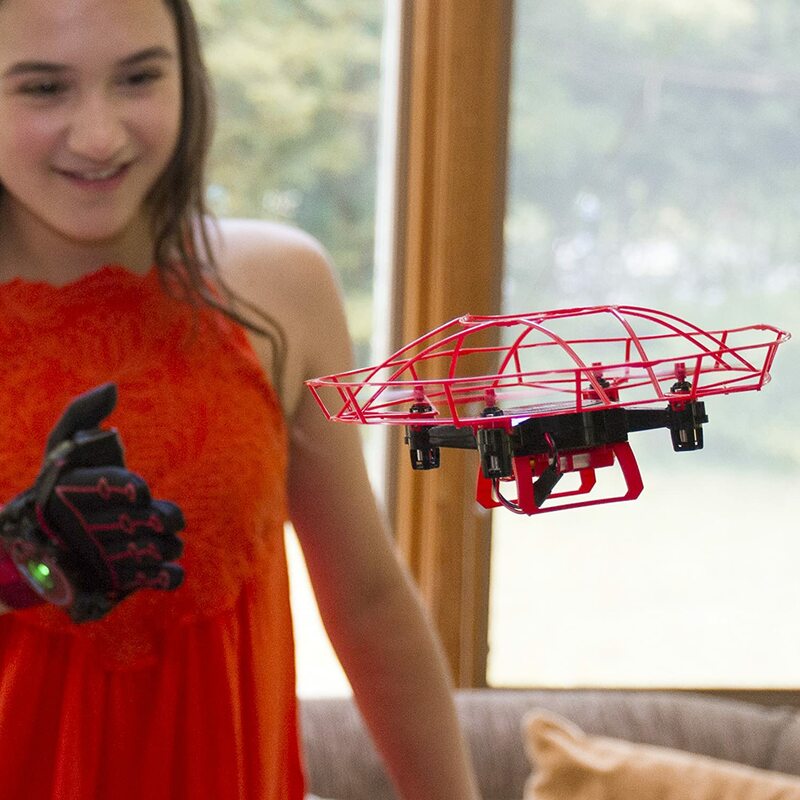 The drone is controlled by your hand gestures using its GestureBotics glove. With the glove, you can move the drone in all directions and a 360 degree flip. According to Mashable, a 6-axis gyroscope makes sure it flies smoothly with auto takeoff, landing, and hover. The drone is designed to be used indoors and is protected with a surrounding safety cage. Would I buy this? Definitely! It's easy to use and I'd enjoy maneuvering the drone at my fingertips. This would even make a great holiday gift. The KD Interactive Aura Drone sells on Amazon for $99.